India’s first bullet train gets the green signal from government. The Cabinet has cleared a $14.7 billion Japanese proposal to build India’s first bullet train line. The proposal is one of India’s biggest foreign investments in its infrastructure sector. Japan had offered to finance 80 per cent of the cost of the train linking financial capital Mumbai with Ahmedabad, the commercial centre of Prime Minister Narendra Modi’s home state of Gujarat, at an interest rate of less than 1 per cent. 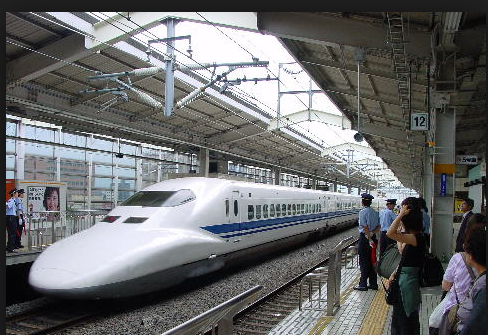 Japan’s International Cooperation Agency completed a feasibility study for first bullet train in July on the 505-km (315-mile) Mumbai-Ahmedabad corridor offering to cut travel time to two hours from the current seven to eight hours. China in September was given the right to assess the feasibility of a high-speed train link between Delhi and Chennai, in the South, after getting clearances from India’s security agencies wary of Chinese involvement in infrastructure areas such as telecoms and railways. French and Spanish firms are also conducting studies into building two of the routes in a quadrilateral of high-speed train lines criss-crossing the country that would drastically reduce travel times.